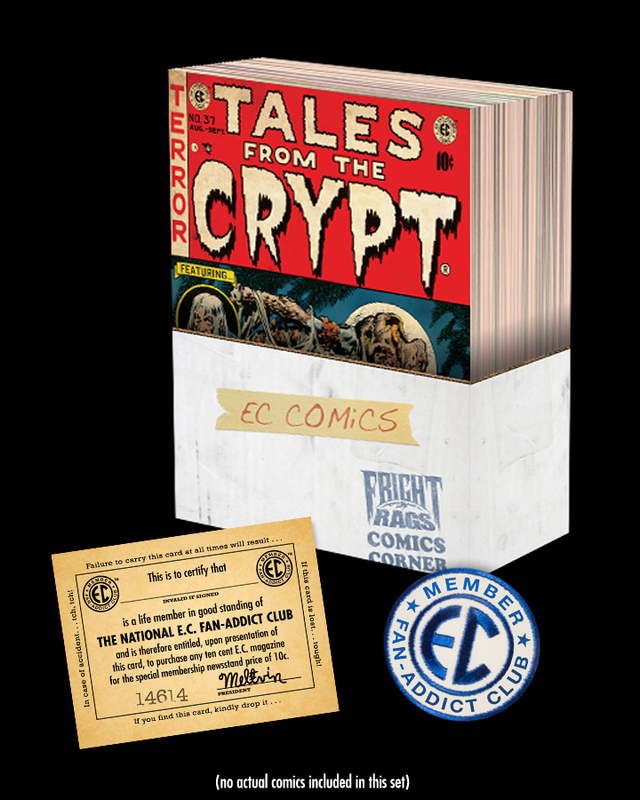 EC Comics was responsible for many of the best horror, sci-fi and crime comic books of the '40s and '50s, including Tales from the Crypt, The Vault of Horror, The Haunt of Fear, Weird Science and Crime SuspenStories. 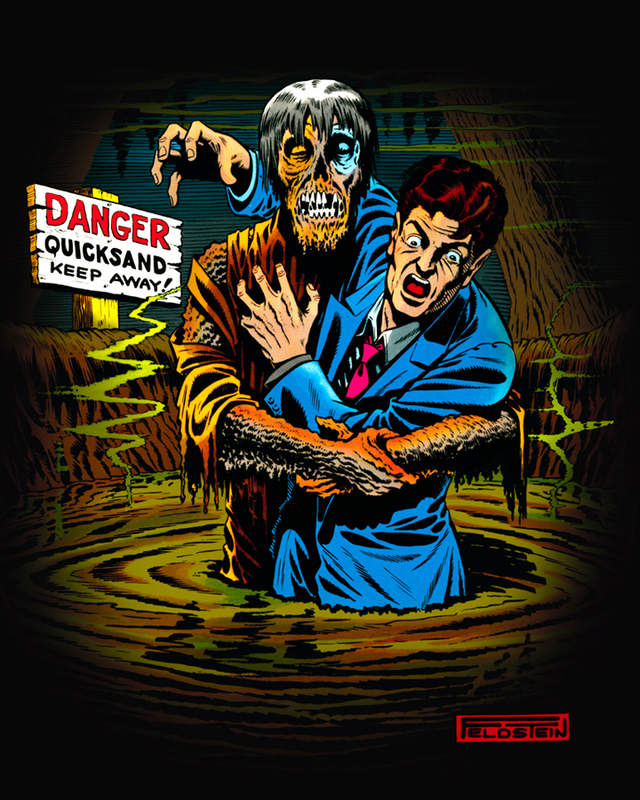 Now celebrating its 70th anniversary, the influential company is teaming with Fright-Rags for a line of limited edition apparel. 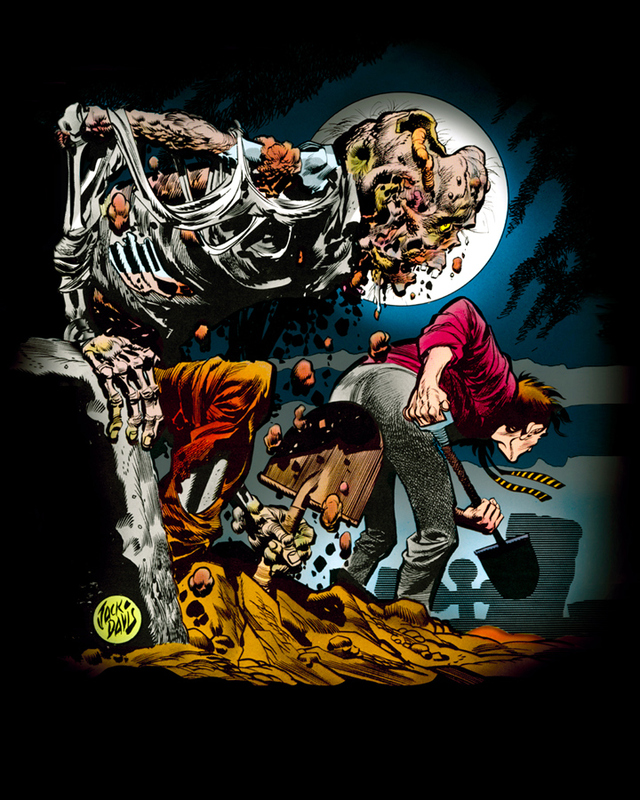 Fright-Rags has created shirts out of three classic EC cover artworks: Jack Davis' Tales from the Crypt #37, Al Feldstein's Tales from the Crypt #24 and Johnny Craig's Crime SuspenStories #22. 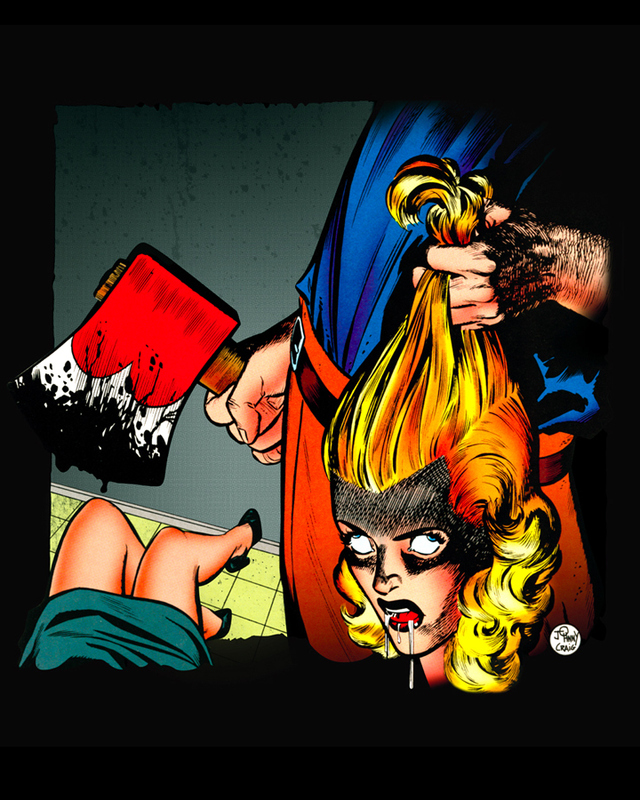 Each full-color design is limited to 250 and available on T-shirts, girls shirts and zip-up hoodies.